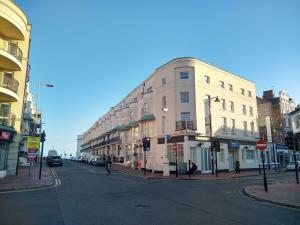 Choosing which type of commercial property to invest in, in Eastbourne shouldn't be made lightly. You should be aware of all the environmental issues that could potentially affect your investment, and if needed the stipulations of a commercial loan for the property in Eastbourne. It is definitely worth keeping up to speed on the problems you may experience in your commercial investment search and Eastbourne, and if required make sure you get an experts opinion. If you require funding to purchase an investment property in Eastbourne, one option is to look for funding for your commercial property. A commercial mortgage is an option available to you, although it's worth noting they typically have higher interest rates than a residential mortgage. Our advice is to always plan your finances ahead of time, being organised will make your search for an investment property in Eastbourne a smooth process. It's always key to remember that commercial property is a totally different market to residential when looking to invest in Eastbourne. One revenue avenue might be to look at how renovating an investment property in Eastbourne could allow you to resell the property later for a profit. Of course with an empty investment property, you could lose valuable money if your property does not have a tenant. MOVEHUT can assist your search for a commercial property in Eastbourne to invest in, before that, you need make the decision what to do with the property afterwards. Choosing to speculate in a commercial investment in Eastbourne could be rather risky. If you are looking for a quick return on your commercial property in Eastbourne, speculating would be more likely to give you this. On the other hand an investment means that the property is wholly suitable to be leased, allowing you to earn money from it year on year. Whether you're looking to speculate or invest, MOVEHUT can rejuvenate your commercial property investment search in Eastbourne. Searching for the perfect commercial investment property in Eastbourne will require informed and intelligent decision making. Commercial investments are best approached with a calculated mindset, you don't want emotions to play any part of your decision. By making a rationale decision early will make your search on MOVEHUT for a commercial investment property in Eastbourne much easier. If you're planning on buying a property as an investment in Eastbourne, you're probably wonder what the positive points are. For example, you could ensure a stable income flow through renting or leasing the commercial property in Eastbourne. 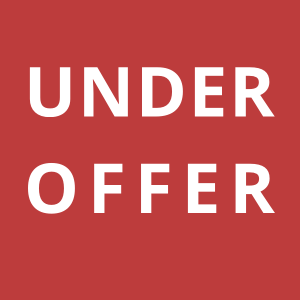 Of course, you have the potential rewards of a future resale of the investment property in Eastbourne to consider.